With 173 miles of shoreline, Melton Lake Park is the perfect location for an outdoor adventure. 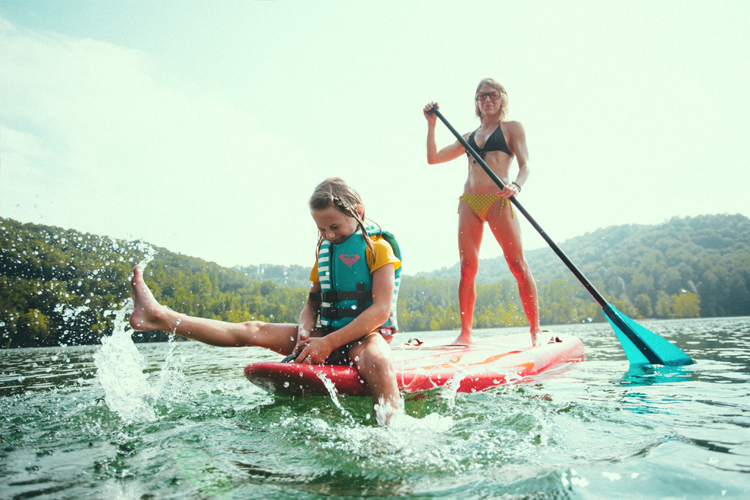 Strike up a sand volleyball match or cool off in the water beside picturesque shorelines that are ideal for SUP (stand-up paddle boards), kayaks, and pedal boats. The lake, located on the eastern edge of Oak Ridge, is also known as one of the best 2,000-meter rowing venues in America. If you want to take a break from the water, there is a peaceful 5.6-mile waterfront greenway great for walking, running, and biking. Other family-friendly amenities include a volleyball court, sheltered picnic tables, playground, and pavilion. Groups can rent the waterfront pavilion for four hours for $60 or eight hours for $100. To reserve the pavilion, you must mail an application (available online) to the Oak Ridge Recreation and Parks Department. Be sure to visit Melton Lake Park in the spring to watch the best rowing teams in the country train and compete.